Don't wait! 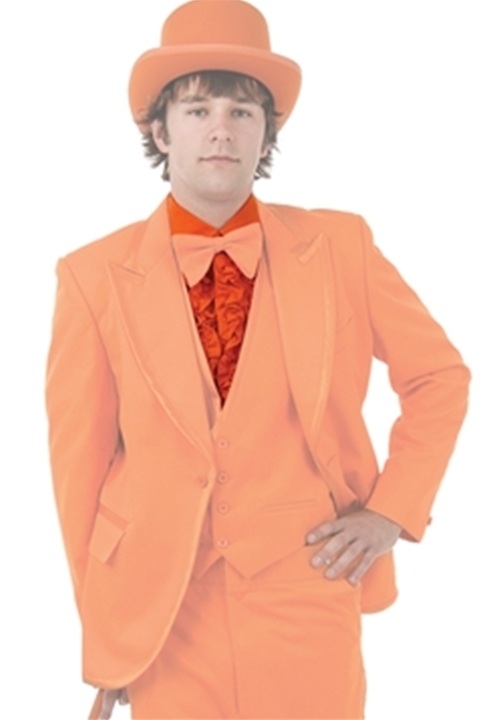 Order your bright orange tuxedo today! This orange ruffled shirt by Bright Colored Tuxedos is designed to correspond with it's coat counterpart, CN960. This bright orange shirt features a ruffled front, turndown collar, and standard cuffs. Fashioned from cotton, this shirt is an integral part of this orange tuxedo and will be sure to help make some lasting memories! Please note, in some product pictures there are black plastic 'place holder' studs that are not intended to be worn with the shirt. You will still need to purchase formal jewelry, which you can view here. This shirt comes with standard buttons, but accommodates formal jewelry (studs and cufflinks) through a small slit above the button.